Many plants and, with them, many gardeners have gone dormant with the cold. The truth is, however, there’s plenty to do this January if you want to prepare for a thriving spring landscape. You may wish to collaborate with local landscapers who can handle winter-appropriate tasks like pruning and soil prep as well as introducing new plants to your landscape. If you’re a diehard DIY type, though, here are some basic tips on late-winter yard care from the experts at Stonetree Landscaping of St. George. When you prune dead branches you’re not cutting into living tissue, so these can be removed any time of the year. When it comes to cutting into live growth on your deciduous plants, however, it’s best to do so in late winter. Undesirable growth like energy-sapping suckers and water spouts. Areas that need to be thinned, such as places where two limbs are growing where only one is needed. Winter-bare branches also make it easier to see the overall structure of your plants, which lets you better shape them for aesthetic results and helps ensure you make cuts correctly. The benefit of undertaking this kind of pruning in late winter is your deciduous plants are still dormant. This allows the plants’ wounds to close and seal more quickly, something that’s best achieved before warmer weather draws out the insects and disease poised to invade pruning cuts. When you prune your deciduous plants in late winter, you can be sure they won’t look skeletal for long. With spring on the way, a time when new growth is in overdrive, lost branches and foliage can be quickly replaced. Further, pruning is known to stimulate growth. Your deciduous plants will have more energy to flourish during the growing season when they no longer must maintain energy-sapping elements like suckers and unhealthy branches. Along with providing some tough love to your deciduous plants, you can also provide some TLC to your roses as well as your evergreen trees this January. Evergreens like pine, fir and spruce can be trimmed to shape. Step-by-step advice on winter-pruning roses in Southern Utah can be found in a recent article in Southern Utah’s Independent. Pruning is part art, part science, and something many people opt to leave to a professional arborist or expert landscaper. There are, however, some basic principles to keep in mind. 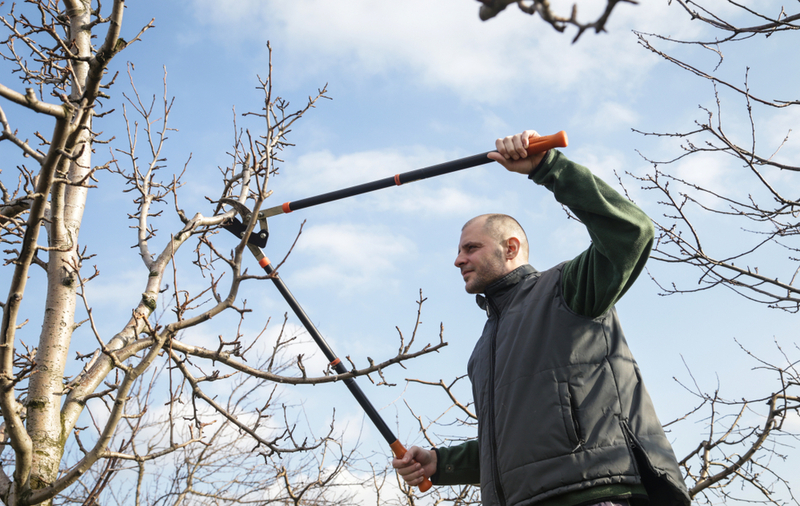 You want to use sharp, high-quality pruning equipment that’s in good condition. This makes it easier for you to make necessary cuts and less likely you’ll harm your plants. A good post-pruning cleanup is also in order. You can prevent cross-contamination, the spread of disease and pathogens from one plant to the other, by clearing away cuttings after you’ve pruned. Another helpful precaution is to disinfect your shears and other tools after you’ve finished pruning a plant. Many gardening experts recommend spraying your implements with Lysol or a solution consisting of 1 part bleach to 10 parts water. When it comes to pruning, there are some distinct places where it’s healthier to make cuts and other spots that should be avoided. For instance, if you trim too close to the bud of a deciduous plant’s, the bud will dry out. In addition, it’s preferable to make pruning cuts at a diagonal angle. More step-by-step tips on pruning with panache can be found on the Fine Gardening website. If you’re in over your head when it comes to pruning or are want to brainstorm regarding new features to enliven your grounds, contact Stonetree Landscaping for your free estimate.